New talk shows and familiar faces head to daytime. When Steve Harvey debuts his daytime television talk show Tuesday, his will be the first of five new shows - all featuring familiar hosts - arriving on screens this September. Harvey will be joined by Jeff Probst, Katie Couric, Ricki Lake and Trisha Goddard - all of whom have chat fests bowing in the busy fall television schedule. They fill out the already crowded ranks of daytime talk that includes Ellen DeGeneres (celebrating her tenth season), Maury Povich, Dr. Phil McGraw, Wendy Williams and Jerry Springer. Which show will strike a ratings-winning chord with viewers remains to be seen. Daytime talk is a notoriously fickle venture, just ask Wayne Brady, Sharon Osbourne, Tony Danza, Queen Latifah and Megan Mullaly - all had signature talk shows that fizzled soon after debuting. 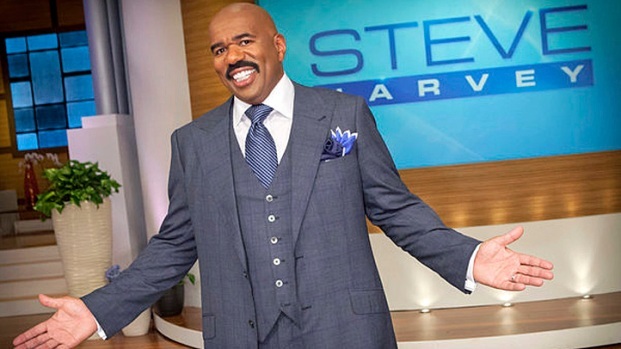 Steve Harvey enters the daytime TV landscape with his new talk show, "Steve Harvey," which premieres Sept. 4. Does Steve think that he can reach the success of another Chicago-based talk show host -- Oprah Winfrey? Debuts Sept. 4 at 3 p.m. on NBC. Who: The host of his own radio show since 2006, Harvey is also the host of TV's "Family Feud," a role he took on in 2010. The entertainer starred in his own sitcom, "The Steve Harvey Show," which aired on the WB network from 1996 to 2002. Harvey is also a bestselling author of two self-help books: 2009's "Act Like a Lady, Think Like a Man" which was adapted for the big screen in 2012 and "Straight Talk, No Chaser: How to Find and Keep a Man," published in 2010. What he plans on bringing to daytime talk: "Well, a man's perspective for one," Harvey told the Mercury News. "You don't see much of that. Plus, I'm funny. Daytime needs more funny." Harvey has said he is not that interested in chasing the latest celebrity with a product to plug, real people are his focus. "They're just more interesting and relatable. Rich people and celebrities don't have the same issues. Plus, (regular people) tend to show up. And you don't have to put M&Ms and other stuff in their dressing rooms." Who: A familiar television personality, Katie Couric co-hosted NBC's "Today" for 15 years before making the jump to CBS to become the first female solo anchor of an evening news program (2006-2011). During her tenure at CBS Couric was also a "60 Minutes" correspondent. Her series of interviews with vice presidential nominee Sarah Palin in 2008 received wide acclaim. Who will be on? Couric's daytime premise is "new beginnings," with the first episode featuring singer and new mom Jessica Simpson. Sheryl Crow will also make an appearance on Sept. 10. Crow wrote and performs the "Katie" theme song, "This Day." Other guests announced for the early episodes include Aimee Copeland, a Georgia graduate student who lost parts of her limbs this summer to a rare flesh-eating bacteria, as well as new "X Factor" judge Demi Lovato, Chelsea Handler, Jennifer Lopez, Heidi Klum, Barbra Streisand and "50 Shades of Grey" author E.L. James. Who: For many viewers, the announcement that Ricki Lake would be hosting a talk show arrived with a heady sense of deja vu. Lake is a daytime veteran who previously headlined her own chat show from 1993 to 2004. The "Dancing With the Stars" alum produced a well-received documentary in 2008 titled "The Business of Being Born," which focused on home birth and midwifery. Lake made a return to television in 2009 when she replaced Sharon Osbourne as the host for the third season of VH1's "Charm School." Her take on returning to talk: "I think the audience that grew up watching me—the things that matter to us have changed," she said to Time. "I want to do something that’s more thought-provoking, more substance than fluff. 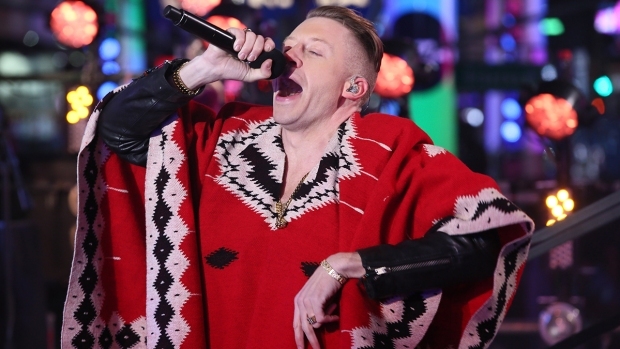 It’s kind of the upgraded, evolved, more mature Ricki Lake show. ... We could talk about any of the topics that my old show covered; we’re just doing it a different way. So relationship stuff, body image stuff, aging, family, children, finding love, dating—all of it. It’ll just have a different tone. ... It’s safe to say I’m leaving paternity tests to Maury Povich." Who: "Survivors ready ... Go!" is the phrase most viewers associate with Probst, who has won five Primetime Emmys as the host/executive producer of CBS' long-running reality series "Survivor." In addition he previously hosted "Backchat" on FX and has twice appeared on "Celebrity Jeopardy!" Probst wrote and directed the 2001 feature film "Finder's Fee" starring Ryan Reynolds and James Earl Jones. It's all about saying "yes": Probst told reporters during the Television Critics Association press tour that he hopes his audience will say "yes" to an informative show about different relationships. He also reveled that his new set features a "party room" for audience members that contains massage chairs, snack booth and makeup stations. Probst's new wife, Lisa Ann Russell, will be featured regularly on air. Often outspoken on screen and off, Probst says that "my weakness as an interviewer I think will be a strength in daytime: I share ... sometimes too much. ...Publicists hate it when I open my mouth." Debuts Sept. 17 on NBC. Who:Trisha Goddard is known more to audiences in the United Kingdom and Australia thanks to stints hosting "Trisha" which aired on Britain's ITV and Channel 5 from 1998 to 2010, and "Play School," an Aussie children's program on which she appeared between 1987 and 1998. Born in London, Goddard was raised in the east African country of Tanzania before settling in Australia where she began her career in broadcasting. Diagnosed with and treated for breast cancer four years ago, Goddard - a mom to two daughters -has since received a clean bill of health. Check local listing for relevant network and broadcast times.